Have you ever heard about the indoor generation? Well it’s us! Researches have quantified that in our era we spend an average of 90% of our time indoors. And indoor air quality is much poorer than what one may think. In fact, they talk about real indoor air pollution, with causes ranging from simple dust all the way to the VOCs (volatile organic compounds) released by cleaning products, paints, insulating materials, plywood and combustion. Besides committing to spend some more time outdoors, there are some things we can do to improve air quality in our indoor spaces. One is greenery. There exist plants and flowers that are particularly good at absorbing volatile compounds and releasing oxygen*. And what better moment than the upcoming World Environment Day to discover them? So here are my favourite plants and flowers for achieving clean air…together with some design tips of course! Known for the numerous applications of the gel extracted from its leaves, aloe vera is greatly beneficial to the air as well. It can remove volatile compounds like benzene and formaldehyde from the air and acts as a real air quality indicator. If dark spots appear on its leaves, it’s a signal of high indoor air pollution. 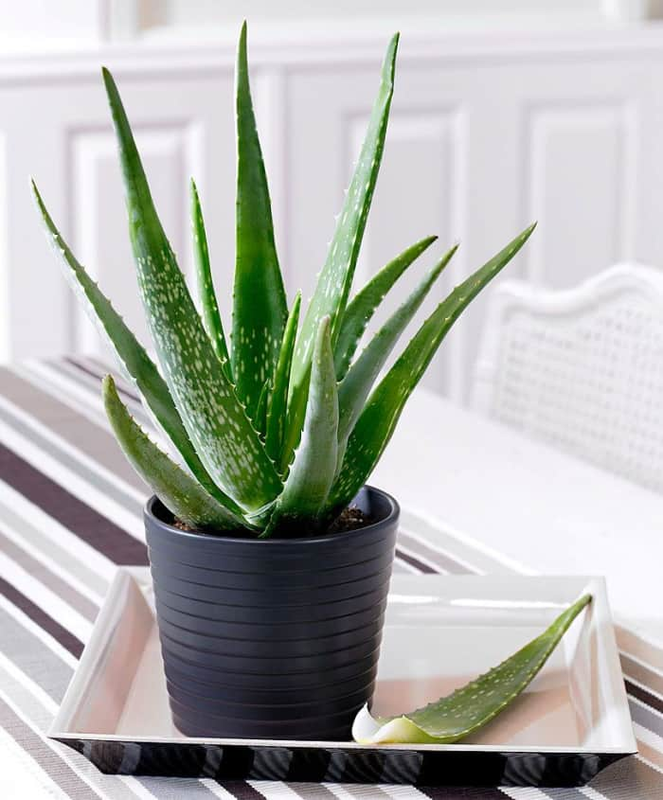 The leaves of aloe vera have the tendency to grow in all directions. A decorative feature that makes it a great living sculpture that can alone dress up and give movement to a shelf, a buffet cabinet or a dresser. If you prefer a more contained look though, you can loosely tie a ribbon or string around the leaves or choose a high vase. 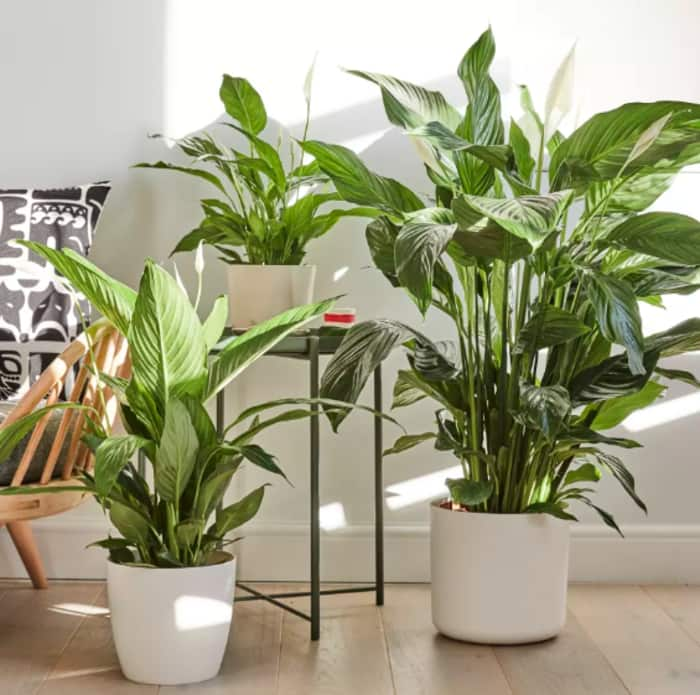 This plant can take care of indoor air quality absorbing organic compounds such as benzene, formaldehyde, trichloroethylene, xylene and toluene. It also releases oxygen at night, which makes it the perfect plant for bedrooms. Since it tends to grow in height, the snake plant is a great option to balance asymmetric arrangements like non-matching nightstand lamps. A high lamp on one side could be paired on the other side with a lower lamp and a snake plant. This would visually balance the design while fighting air pollution in the bedroom. 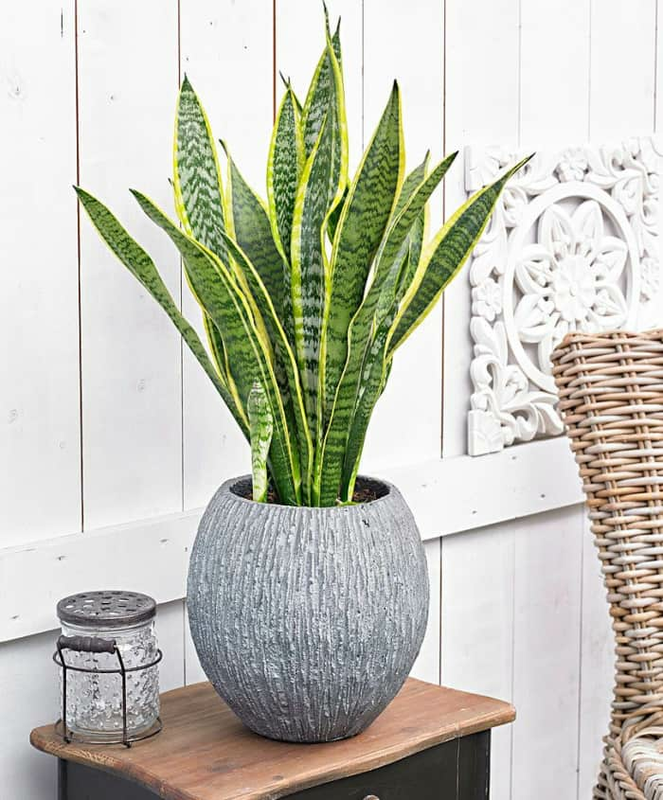 As a side note, the characteristic pattern of its leaves makes the snake plant a particularly trending option for this year! 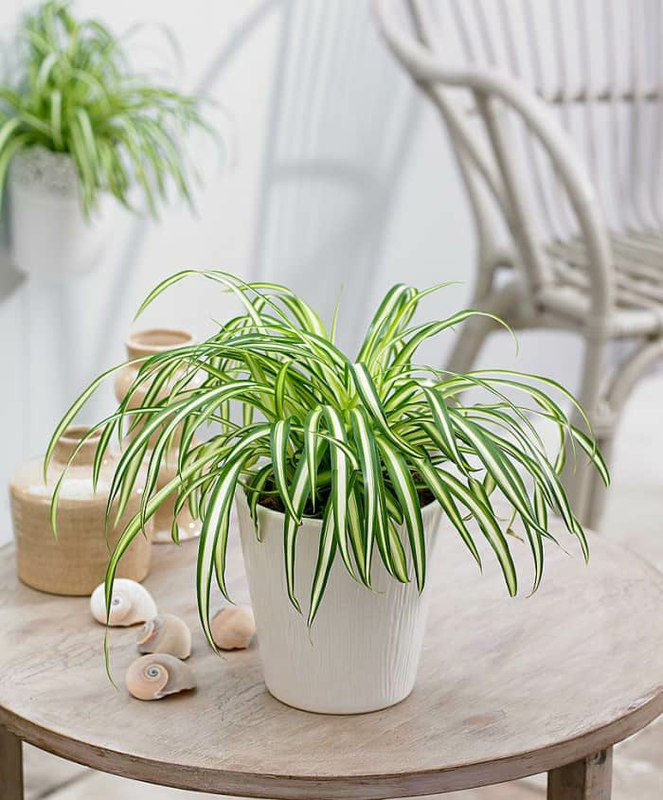 For its power of cleaning air from allergens, the spider plant is among the best indoor plants for people that suffer from allergies. 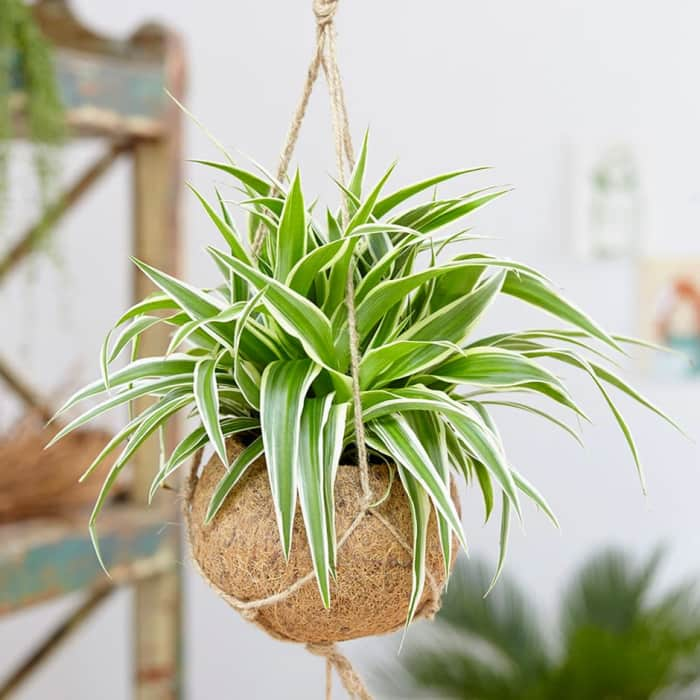 Its drooping growth makes a spider plant the perfect plant to fill in a vertical space. Some ideas would be hanging it from the ceiling, displaying it in a big high vase or placing it on a shelf and letting the leaves fall down freely. Btw, this is another example of trending patterned leaves! One of my big favourites here! It has such a beautiful shape, so full and fresh! 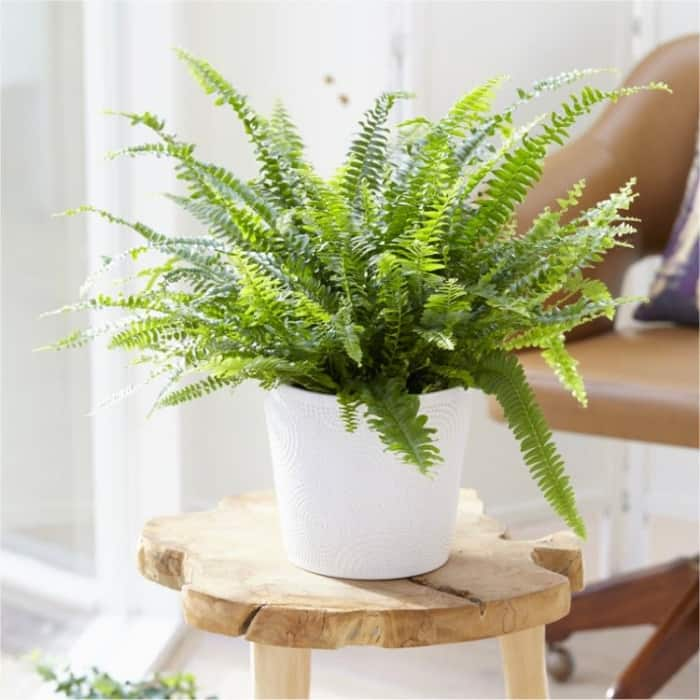 What makes the boston sword fern a clean air booster is its ability to absorb VOCs like formaldehyde, xylene and toluene. 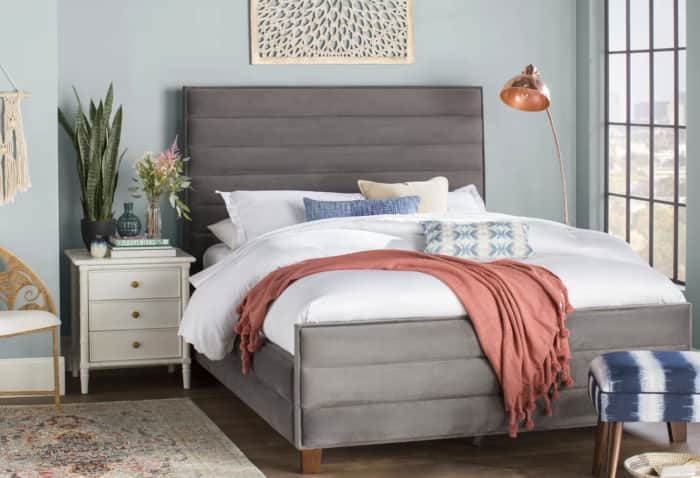 It needs a rather high humidity to grow and releases just as much, preserving the appropriate moisture level in the air (which is another key element in achieving better indoor air quality). 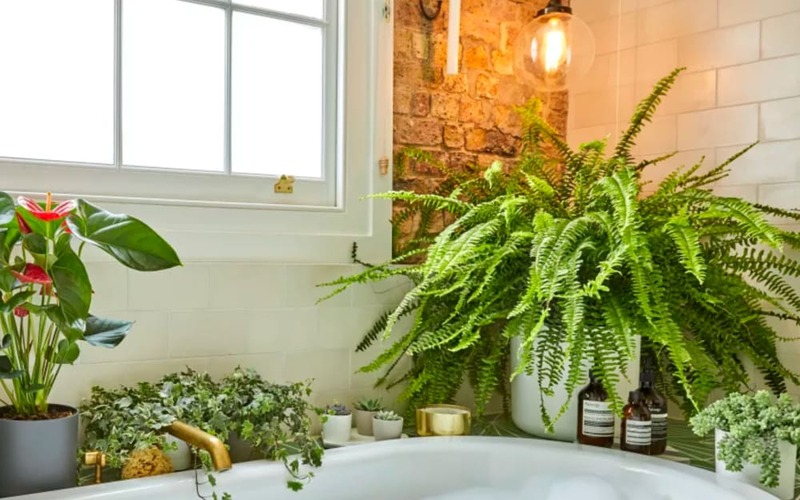 Loving humidity, this is the perfect plant for bathrooms. 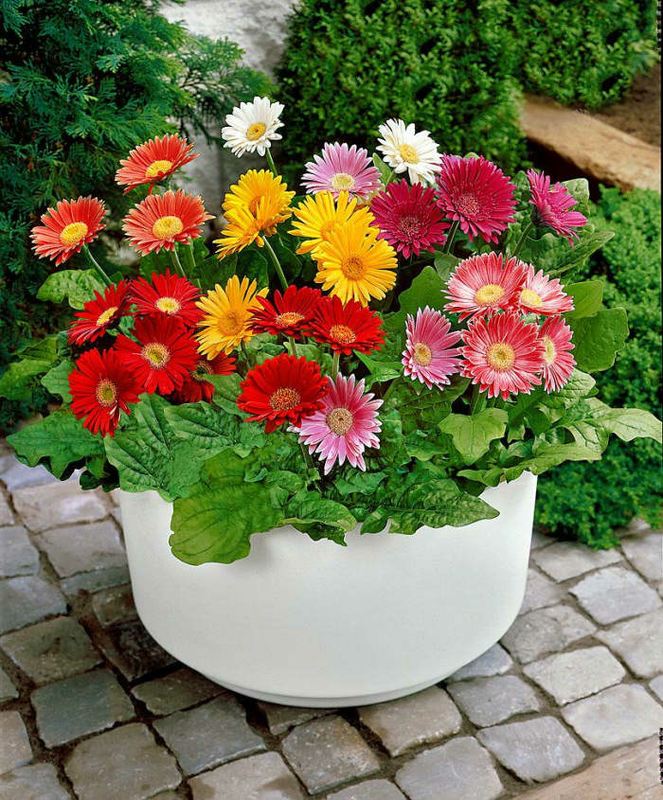 Potted in a high sculptural vase it will add interest to an otherwise empty corner. Hung from the ceiling, it can dress up even the smallest spaces. 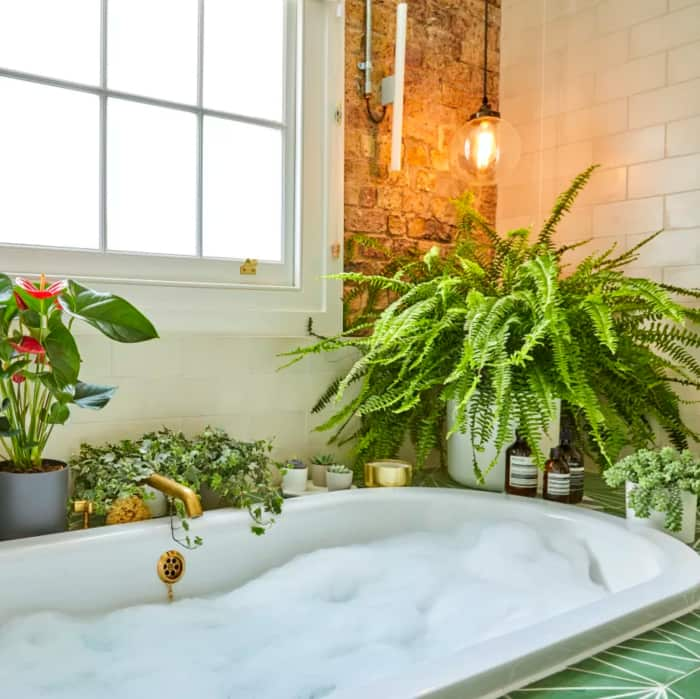 And what about creating a green bathtub area? The most common orchid we can find in the stores and yet so powerful against indoor air pollution! 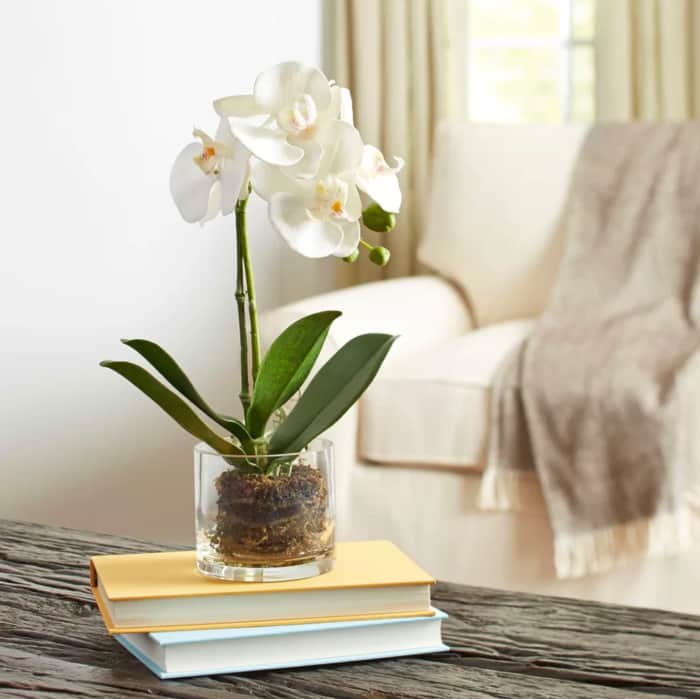 This orchid is able to absorb VOCs like xylene and toluene, and is great to add greenery to a bedroom. 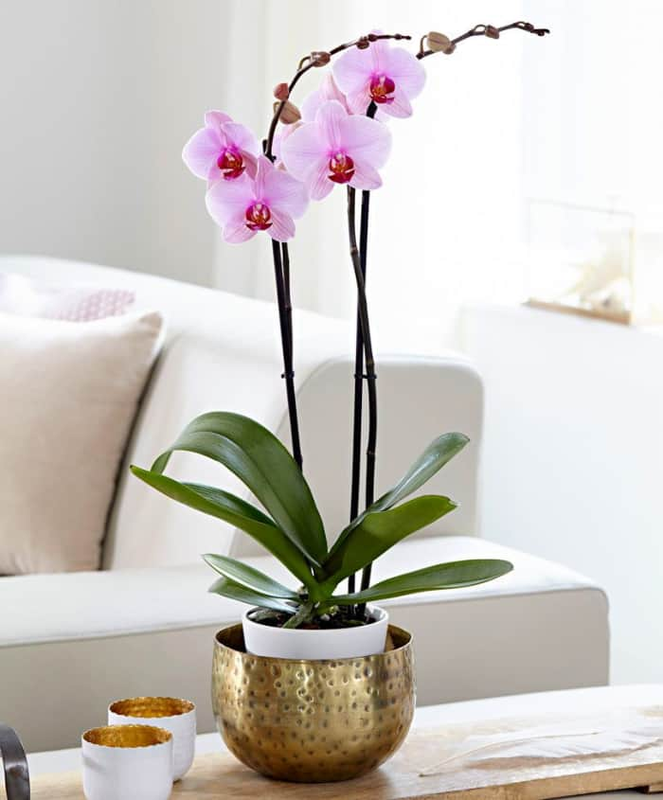 Given its simple elegance, an orchid looks great by itself. On a chest or as a centrepiece, it will bring a neat and elegant touch to any décor. Orchid roots need light (which is the reason why they tend to grow out of the vase). 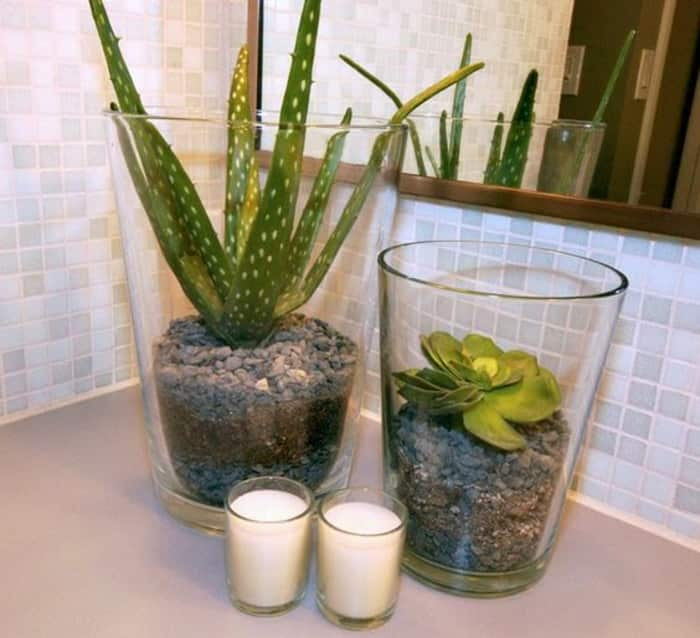 It can therefore be a good idea to choose a see-through vase in the first place, which will also make it easy to determine when watering is needed. These flowers are known more for their shiny colours than for the ability to contribute to indoor air quality. But they are great at cleansing the air from volatile compounds like benzene, formaldehyde and trichloroethylene. 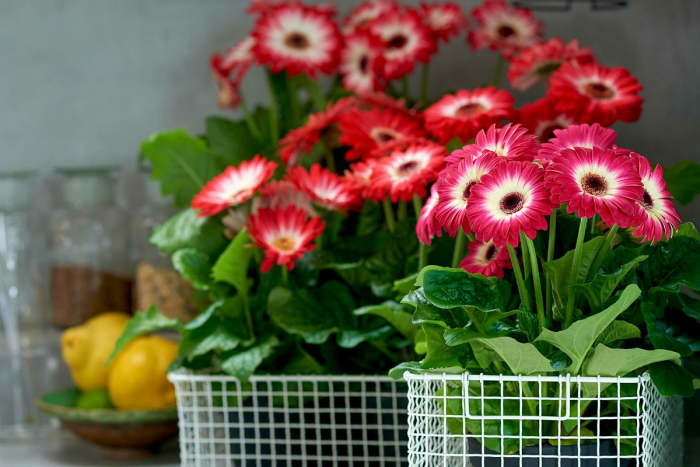 These daisies come in many different colours, that look amazing both alone and paired together in a colourful arrangement. A simple vase with clean lines is the best to highlight the bright colours of these flowers. 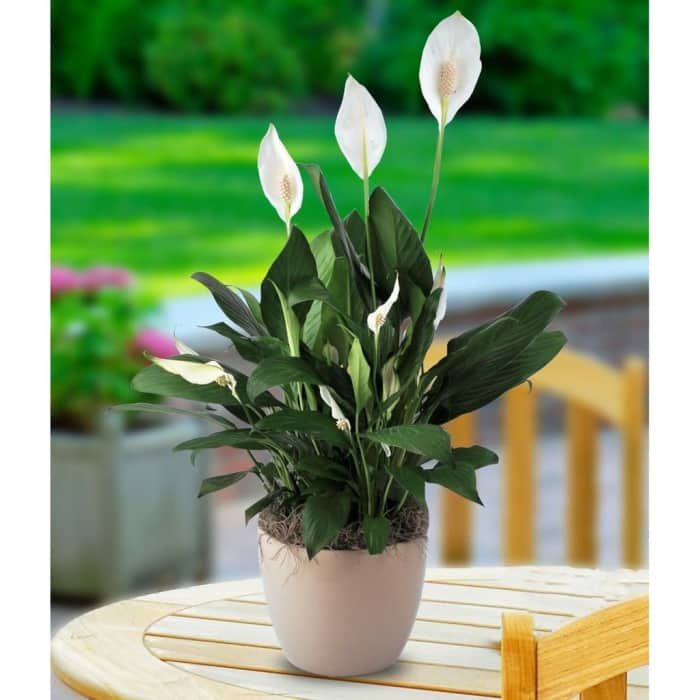 One of the best indoor plants for clean air, peace lily has the capability of absorbing mold spores, that it uses as nutrition. It is therefore a particularly good option for bathrooms and other humid areas. Perfect to fill in a bathroom shelf or an empty corner around the house, a peace lily can also be hung if the space is small. 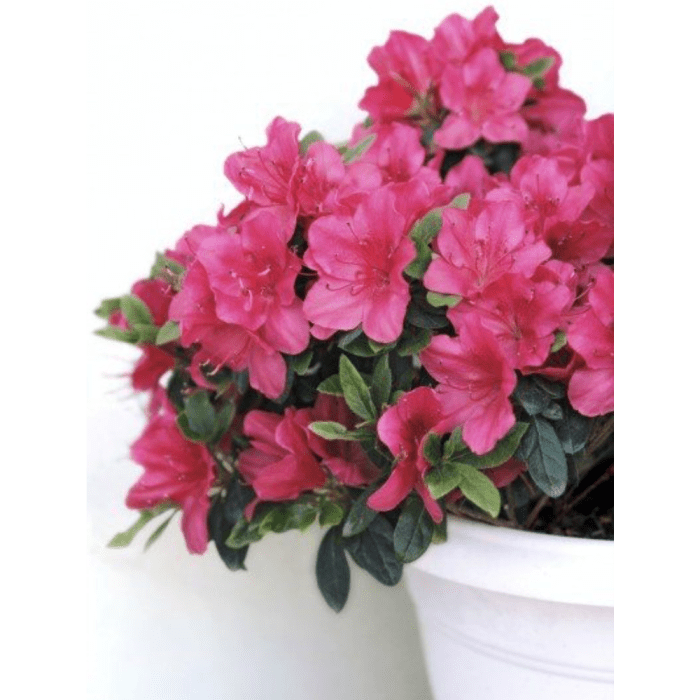 Despite being mostly popular as an outdoor plant, an azalea can also live indoors, where it will contribute to reduce air pollution by absorbing formaldehyde, one of the most well-known organic compounds. 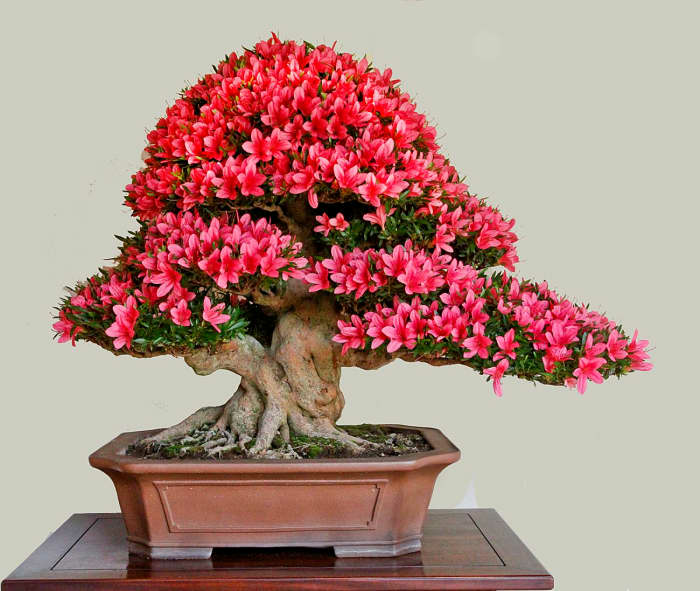 Very durable, an azalea can last for a century. That’s why it is sometimes grown like a bonsai tree…and the result is just lovely! So many beautiful plants and flowers to clean up the air we breathe! Introducing greenery in a space also creates a cozy and lively feeling. And in the right vessel, it can blend with just any style! Consider trying something more than just a simple vase and choose a creative, multifunctional and uncommon container. 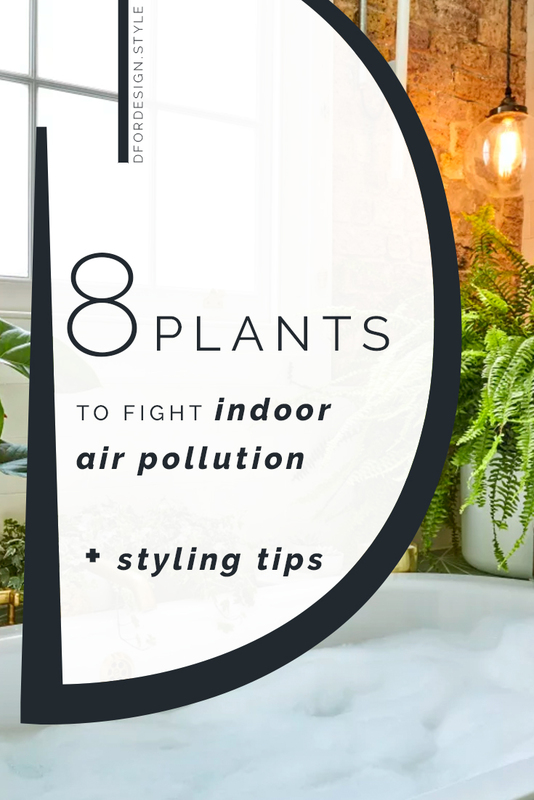 So here they are, my favourite strategies to fight indoor air pollution with style. Let’s become a healthier indoor generation! Plants will do most of the work for us and we’ll get to enjoy cleaner air…at every single breath. The study was conducted with the objective of finding solutions to clean the air in space stations, but the same applies to all indoors spaces as well, allowing to improve the quality of the air we breathe and limit the occurrence of the sick building syndrome.